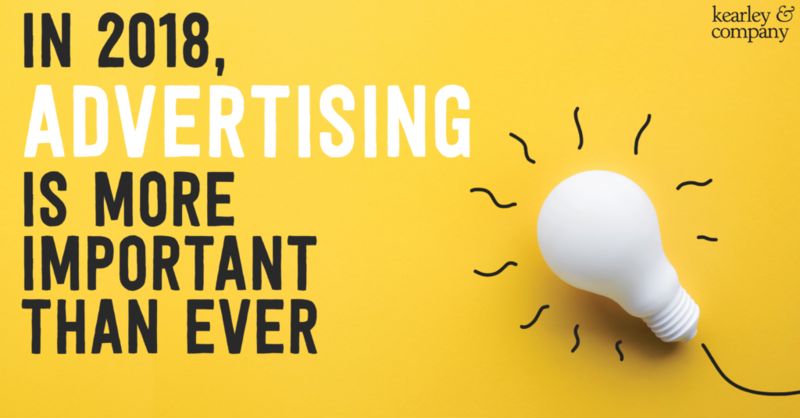 An article in response to “In 2018, Advertising Is Obsolete” by Ramsi Woodcock. Assistant Professor of Law at University of Kentucky, Ramsi Woodcock recently published an article entitled “In 2018, Advertising Is Obsolete.” In his article, he makes the assertion that advertising is not only unnecessary, it is harmful to our society. We at Kearley & Company decided this needed to be a dialogue — a respectful conversation with an alternative view regarding the cultural necessity of advertising. A conversation not only concerning the value of advertising in the realms of business, economy, and philanthropy — but also about the very presence of advertising in a culture and its potential to make an incredibly powerful mark on a society. Woodcock made several statements about advertising that we found presumptive and conjectural. Let’s talk about all of it. In Woodcock’s article, he states “if the only justification for advertising is that it informs, then advertising is now seriously obsolete.” However, the use and indeed the cultural need for advertising goes far beyond mere information. Advertising is far broader in concept in several ways. For starters, advertising funds. Advertising dollars fund nonprofit sites, support open source information, and allow certain companies to offer for free what they would have to charge for if advertising was not purchased. Facebook, countless podcasts, YouTube, etc. have had a far-reaching impact on cultures worldwide and wouldn’t be here today without advertising. Also, advertising drives culture. Various brands often insert themselves into the cultural dialogue with ads that bring important conversations to bear. For example, AdWeek reported recently that Nike has, for years been on the frontline of effecting social change with advertising. Powerful brands like this use marketing dollars to start conversations that frankly, need to happen – no matter which side of the issue you stand on. Finally, advertising creates competition. As The Balance Careers explains, strategic advertising has the capacity and propensity to allow smaller brands to make bigger brands take notice of potential challengers to their market share. Competition results in better service, lower prices, and a customer-first mentality. But getting the word out there about your company is key to building that recognition. It all starts with promotion. True advertising influences — it doesn’t manipulate. It influences culture, it influences desires, and it influences brand perception. Yes it “aims to change the perception or behavior of others” but through honesty, creative writing, and passionate art. Where would we be without advertising? It’s arguable that a lot of strides in social and cultural change would not have been made without it. Also, if we understand that advertising is a form of art, we see that it has cultural significance far beyond the influence that it has today. The unfortunate tone of Woodcock’s article infers that advertising has the power to, in his words, “cajole a consumer into buying the advertised product.” The danger in this view is that it takes the power out of the hands of the consumer and gives advertisers an elevated position that we never sought nor asked for. We have no desire to control the individual or his choices. True customers and fans of a brand are not “cajoled;” they are won over. In the end, advertising is really all about having a passion for the brand or message you’re sharing with the world. If you can communicate that passion and share it with the public, then your job is well done. If I could sum up advertising in two words, that would be it: sharing passion. And in the tumultuous world of 2018, I would say that passion is desperately needed, and yes – more important than ever. Samuel Cook is the Online Content Specialist at Kearley & Company, a full-service marketing and branding firm specializing in financial institutions and small to medium sized businesses. He joined the team in early 2018 coming from Mothers Against Drunk Driving (MADD)® where he learned all about being passionate about your message when he worked as their national Communications Coordinator and participated in social media promotion, national public relations initiatives, and advertising campaigns.